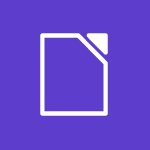 Vendor: Collabora Productivity Sold by: Amazon Web Services, Inc.
LibreOffice-from-Collabora is the enterprise-ready version of the world’s most widely used Open Source office suite, LibreOffice. Backed by a global community of developers, testers, and localization specialists, LibreOffice-from-Collabora is built for critical business needs and discerning users by Collabora - the world's #1 employer of certified LibreOffice developers. Key features: * Enterprise hardened through relentless automated testing * Stable six-monthly release cycle of feature updates * Backported individually selected reliable features from less stable fresher LibreOffice versions * Improved OOXML file support (.docx, .docm) compared to other products with same ancestry * Enterprise-wide - one Office suite common to your whole environment Core features: * A single package office suite that does the work of six apps * Includes advanced word processor, spreadsheet, and presentation software * More than 80 million users including governments, courts, and schools * Industry-leading support of the Open Document Format that is required by many governments * The best interoperability available supporting over a hundred document formats * User interface available in over fifty languages * Reads and writes Word, Excel and PowerPoint documents * Visio and Publisher document viewer * Export documents to PDF *** Please Note: This product requires Java Runtime Environment (JRE) to function properly. Commercial support for LibreOffice-from-Collabora is available for an additional charge from our web address on a per-issue basis, please see the vendor URL. The product is provided on an "as is" basis, without warranty of any kind, either expressed or implied, including, without limitation, warranties that the covered code is free of defects, merchantable, fit for a particular purpose or non-infringing. You will be charged $1.25 for each user assigned to the application.